Hibiscus variety or Hibiscus-like tree (Malvaceae). PROTO POLYNESIAN *sele, "snare, tie up". 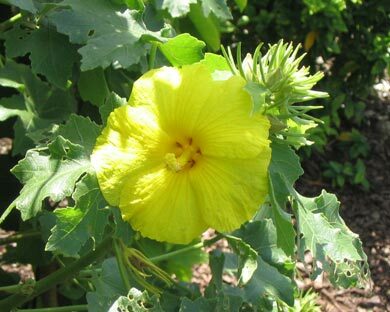 Proto Polynesian: *Fausele, or Proto Eastern Polynesian: *Fauhele "A hibiscus-like tree with fibre useful for lashing"
Maori: Houhere (Hoheria populnea, Malvaceae). Proto-Polynesian: *Fau (Hibiscus tiliaceus, Beach Hibiscus). Māori: *Whau (Entelea arborescens, Tiliaceae). Watch this space! This page still under construction, but it contains the essential linguistic and botanical information, along with pictures and some commentary. More text will be added as soon as time permits. See the "News" for February 2016 for more information. This tree name is presented in the Pollex database as of Proto-Polynesian origin, presumably because of the Niuean word that appears to be cognate with the others, which are all from Eastern Polynesia. The name probably originated simply as a phrase referring to any hibiscus with fibre useful for lashing, which later became applied to a particular species or (as in Hawai'i) group of trees with this quality. 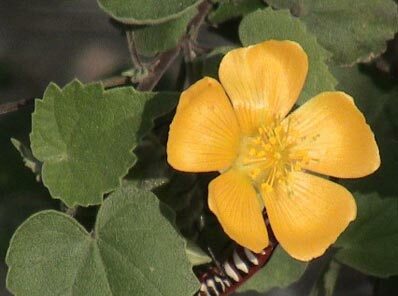 The reason that the Niuean word or phrase is suspicious, as far as a "genetic" relationship with the others is concerned, is that the tree it refers to, Abutilon indicum, is not native to the Pacific, so it is very likely that its Niuean name originated independently of the others. 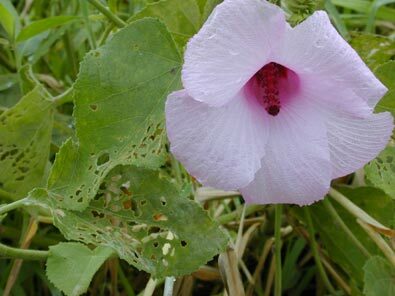 It was reported as being cultivated in Hawai'i in 1888, but, amazingly, did not establish itself there (like most Abutilons, it is highly invasive in many environments). The Rarotongan cognate is also slightly suspicious in that the regular sound correspondences would result in the word's becoming 'au'ere rather than auere, (where the /f/, /s/ or /h/ in the proto-form would be replaced by a glottal stop in Rarotongan). 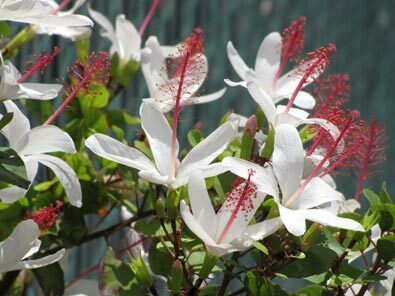 However, the Grewia both belongs to the same family as the Hibiscus and is native to the Cook Islands, so it is possible that the name was inherited from the Proto Eastern Polynesian term. 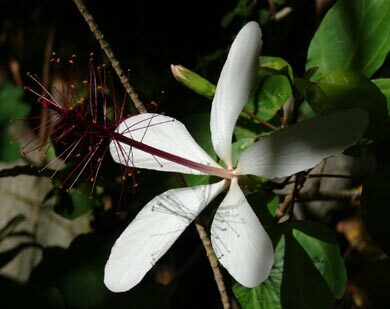 The hauhele par excellence among the Hawaiian plants is Hibiscus arnottianus, which in the season is covered with starry white blooms reminiscent of its Māori namesake, although the Hawaiian flowers are much larger; they belong to different genera, but are within the same botanical family. 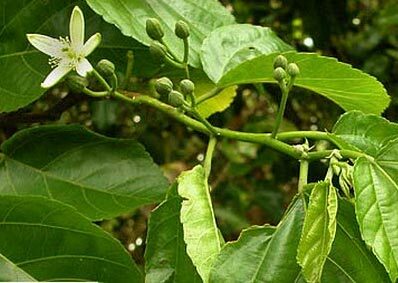 Grewia crenata belongs to a genus previously classed with the Tiliaceae (the linden family), but many botanists now regard it as a member of the Malvaceae, like the Hibiscus. The two plant families do have quite a bit in common, and the "prototypical" hau, Hibiscus tiliaceus, has a scientific name alluding to its linden-like qualities. Grewia crenata is known as fau ui in Samoa, and fo'ui in Tonga. In both those countries its stems are used for starting fires by friction. 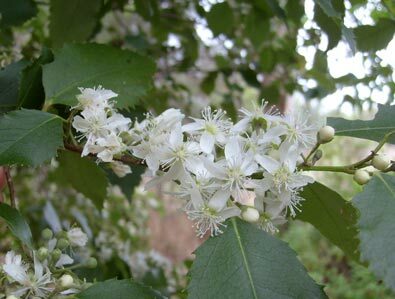 Although it also indigenous to the Cook Islands it is now rare and not used there as a substitute for matches. Further information : (See Bibliography for references to works on Hawaiian and New Zealand trees). There is a page of photographs on the Endemia website dedicated to the flora and fauna of New Caledonia, which has a series of photographs of Grewia crenata. The Cook Islands Biodiversity Database also has information about this species. Photographs: The photographs of Hibiscus brackenrigei and Hoheria populnea were taken by R.B. 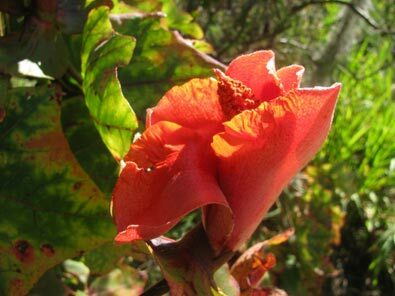 The others of Hibiscus and Kokia species are by Kim and Forrest Starr (Hawai'i). The photograph of Abutilon indicum is by Bō-á-tún ê hoe (Wikipedia) and that of Grewia crenata is from the Cook Islands Biodiversity Database.